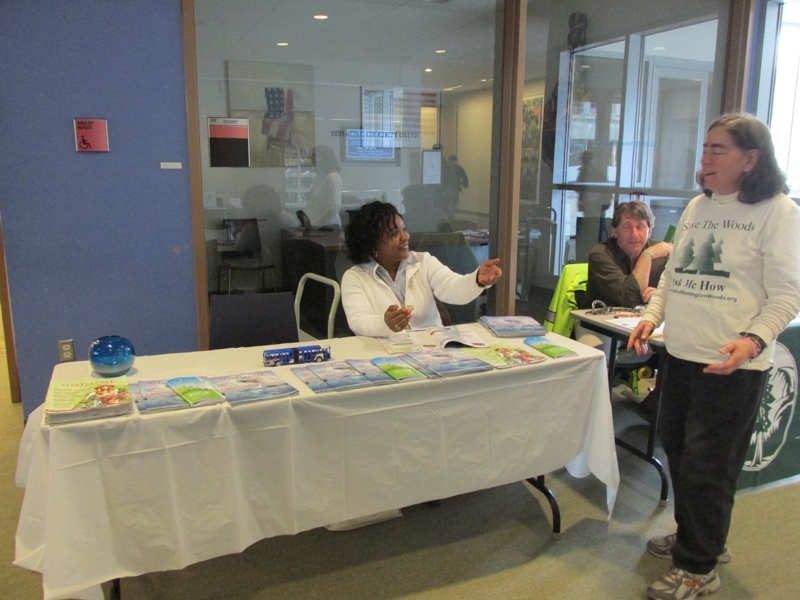 On Monday May 3, Housatonic hosted an environmental fair on the third floor of Beacon Hall. There were about six tables there. Two that really stood out were The Greater Bridgeport Transit, or GBT, and the Connecticut Chapter of the Sierra Club. Crystal Engram, Director of Human Resources with GBT gave out free bus passes during the Environmental Fair. Photo by Kathleen Chaves. Crystal Engram, who is the Director of Human Resources with GBT, was giving out free bus passes and had said to a few students to take a bus ride around Bridgeport and they’ll notice that there’s a lot more to the city than just the buildings. She pointed out that the table across the hall was raising awareness for Remington Woods in Bridgeport. If you rode the bus, she said, you would notice these woods and more. The next table over was the Connecticut chapter of the Sierra Club, manned by member John Calandrelli. This club was raising awareness of the environmental issues that “natural” gas can cause. According to Calandrelli, the natural gas that the Department of Energy (DEEP) is advertising is 97% methane and causes damaging pollution. 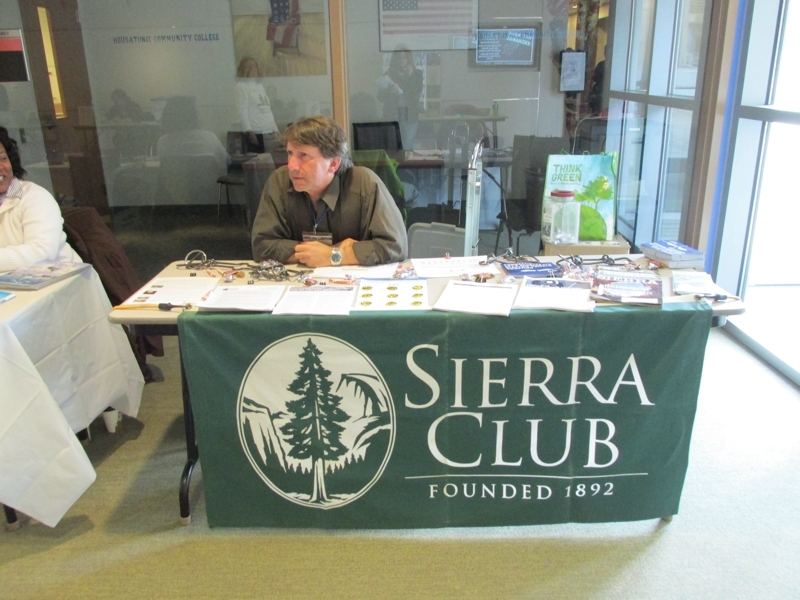 John Calandrelli, a member of the CT chapter of the Sierra Club manned a table at the Environmental Fair. Not only were the people who participated in the fair friendly, but they set up their tables in interesting ways. The GBT had magazines set out, while the Sierra Club had brain-teaser games that were difficult to figure out at first. They turned out to be the simplest puzzles if you just think outside the box. This fair offered up ideas for some of the simplest things that we can do to help our planet out. Even if it’s just raising awareness for something or just taking the bus somewhere, it’s a step in the right direction.